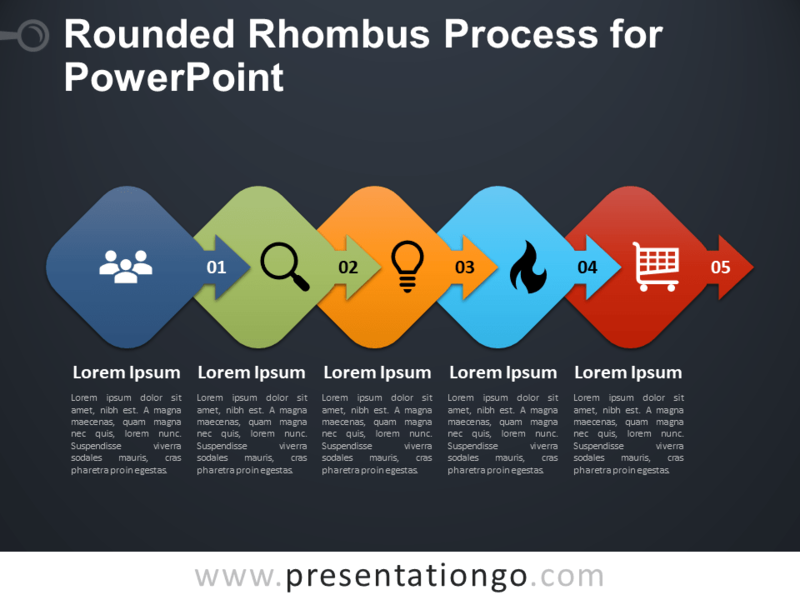 Free rounded rhombus process for PowerPoint. 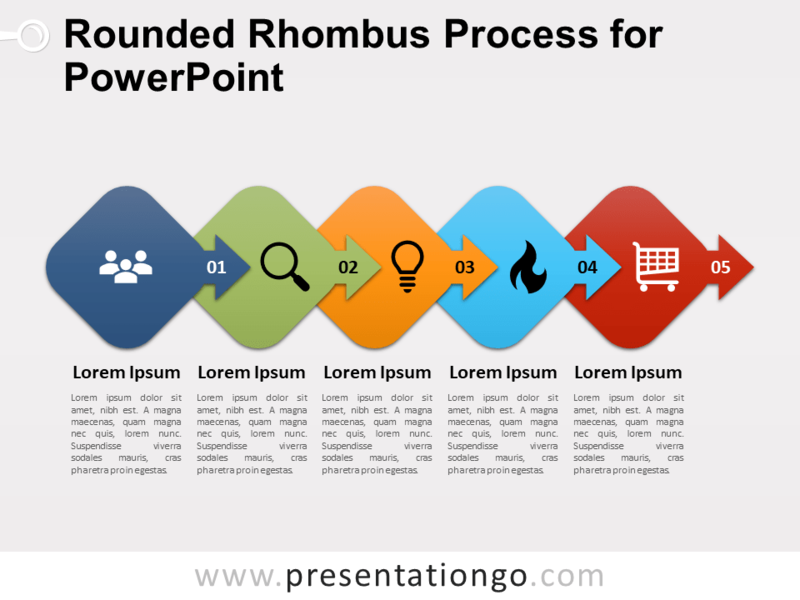 Horizontal process diagram with five (5) rhombus shapes with rounded edges and right arrow inlaid. 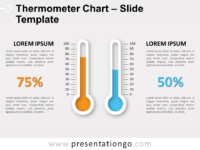 Editable graphics with numbers, text and icon placeholders. 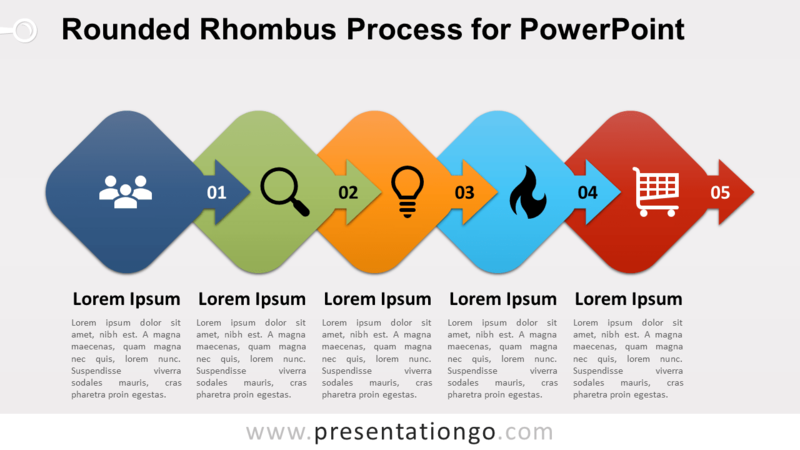 Use this horizontal process diagram design in your presentations to show a progression or 5 sequential steps in a task, process, or workflow. 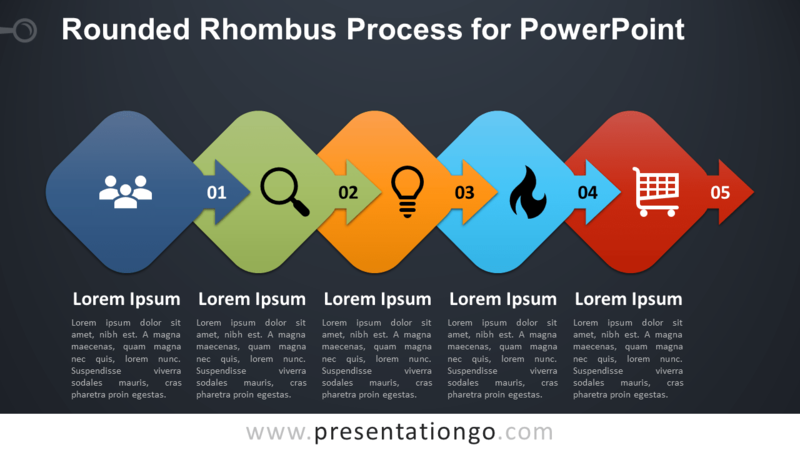 Also great to illustrate a list of events in chronological order, or as a timeline. 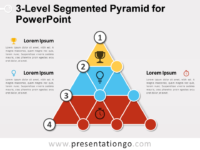 This diagram is suitable to emphasize movement or direction. 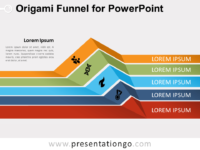 You can easily move, add or remove events to match your needs. 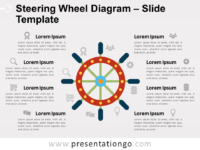 Includes 2 slide option designs: Standard (4:3) and Widescreen (16:9). We receive a lot of words of thanks, and we really love that. That means a lot to us! KEEP SENDING YOUR APPRECIATION! We read every comment posted here. If your comment is about how to download, a problem with the website, a broken link or anything else, please use our contact form.